Today I opened the box to my new digital camera. It is my second attempt at a gift for myself for making it through Tax Season. After my disappointment with my first choice of camera and having to ship it back, I wasn't in the mood to research any camera. I kept putting it off. There's just so many models, so many brands, too many features to compare and looking for the best price. About a week ago I received an email from Jenny, which showed me a Sony camera. She said she could get it for me at a good price through her connections at Sony. 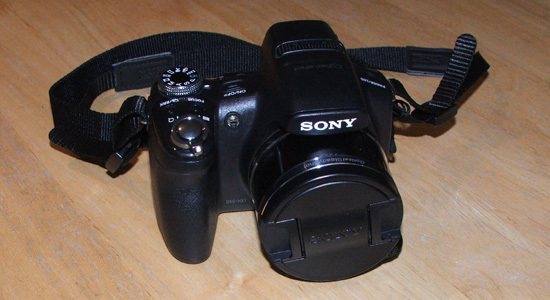 Once I confirmed it had the manual shutter and aperture features I was ready to fork over my cash. We placed the order Wednesday night and it arrived later yesterday afternoon while I was at Cedar Point. (Wow, Saturday delivery). It's here now and I'm liking it. My first impression is that this one will be a keeper.